An old Cherokee is teaching his grandson about life. He says: “A fight is going on inside me. 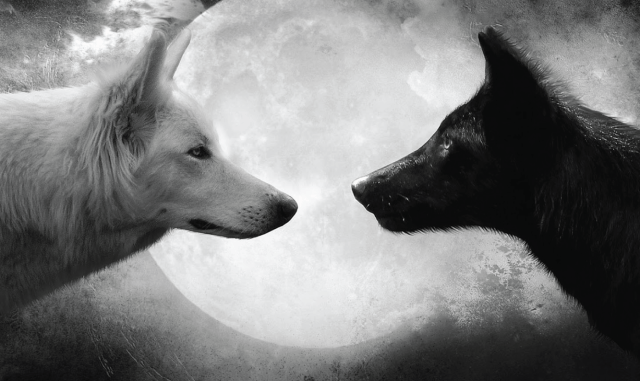 It is a terrible fight and it is between two wolves. One is evil – he is anger, envy, sorrow, regret, greed, arrogance, self-pity, guilt, resentment, inferiority, lies, false pride, superiority, and ego. Yes, you should remember that our negative thoughts can create anxiety, anger, resentment, jealousy—an array of emotions. Negative thinking is normal. But, unfortunately, if this way of thinking becomes incessant, it can lead to depression and self-destructive behavior like addictions, derailing us from what we want most in life. This will “consume” your energy, erodes your self-confidence and can put you in a bad mood. Yes, you’ll feel depressed. And, I also think that many people would agree that our thoughts come and go so quickly that it’s seems impossible to notice them, but with awareness and an attitude of self-compassion, we can redirect our negative thoughts to more positive ones. And, one last thing – our thoughts can be our own worst enemy – if we let them. So, ladies and gentlemen, next time you have a negative thought, catch it and ask yourself, “What is this thought doing for me?” And, trust me – you will find that the answer is that all they are doing is disempowering you. You can immediately feel more empowered by focusing on something good in your life and cultivate the practice of gratitude. And remember – this battle can be won because we have the power of choice! Thank you for your time and don’t hesitate to share this article with your friends and family. Thank you and feed the good wolf. Help Gostica raise the vibrations and SHARE this story with your family and friends. the moment. I often end up lashing out and regretting it later. How, then do you win the battle?